Seventeen Magazine and OPI have teamed up to Delete Digital Drama and take a stand against cyberbullying by creating their new #17delete polish. Bullying is a serious issue, and cyberbullying is arguably even worse. The Delete Digital Drama campaign seeks to spread awareness about cyberbullying and put an end to it. I think the Internet is an amazing tool that we have at our disposal, but unfortunately, people often take advantage of it. The Internet just might be the worst combination of anonymous, allowing bullies to hide, and public, which leads to news and rumors spreading like wildfire. Bullying in all forms is unnecessary. Support the Delete Digital Drama campaign and stand up to cyberbullying by rocking this awesome nail polish for your manicure! Looking for other ways to support the campaign? Seventeen Magazine has also created a [delete] shirt with Nanette Lepore – it’s only $10 at JCPenney, and 100% of the proceeds will benefit STOMP Out Bullying, a national anti-bullying organization. Celebrities like Ashley Benson, Ariana Grande, Kendall and Kylie Jenner, and Bella Thorne have all joined in to show their support for the campaign. For more ways to join the campaign, click here. Want your own #17delete polish? 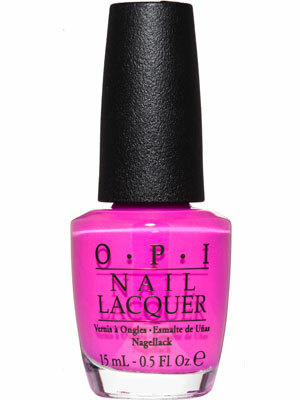 Enter here for a chance to win a free bottle of OPI’s #17delete polish! ← The Right Fit: What’s Yours?